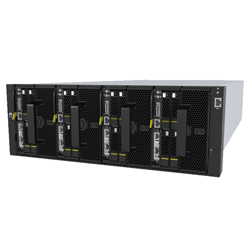 Provides high performance, large local storage space, and supports SSD technologies. 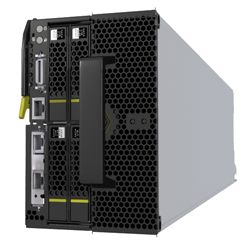 FusionServer X6800, with an advanced architecture, is designed for various applications such as cloud computing and Big Data, and is an optimal choice for IT infrastructure of a cloud data center. 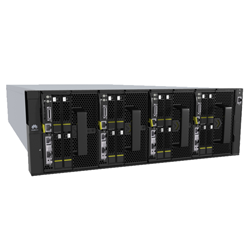 Supports a variety of high-density server nodes in a 4U chassis. 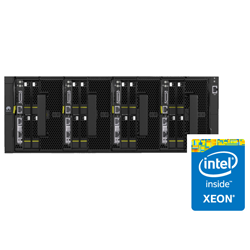 Allows flexible configuration of compute, storage, and GPU acceleration nodes to meet different service requirements. Offers two or four GE ports or two 10 GE ports. Supports centralized power supply, high-voltage DC, with little internal cabling.